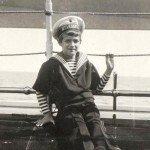 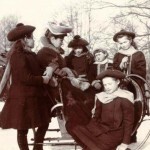 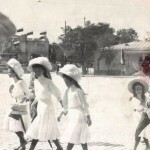 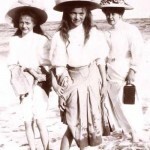 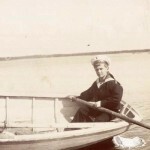 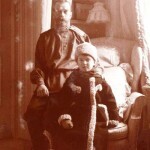 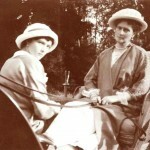 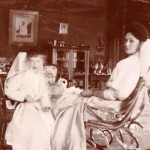 Noteworthy, these photographs are from the archives of Anna Vyrubova, the nearest and most devoted friend of the Empress Alexandra Feodorovna. 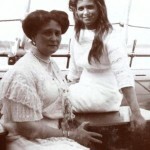 In January 1904, Anna Vyrubova (nee Taneyev) had been appointed maid of honor, whose duties were to be near the Empress Alexandra Feodorovna. 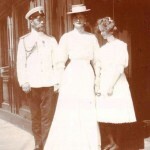 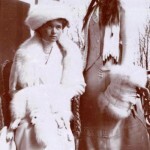 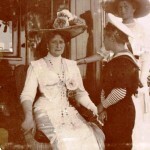 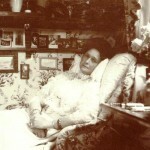 After that, Anna became a close friend of the Empress, she was near the royal family for many years. 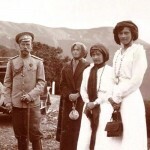 In particular, she accompanied the Empress on many journeys and trips, attended a private and family events. 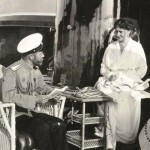 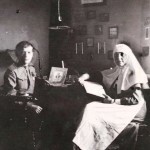 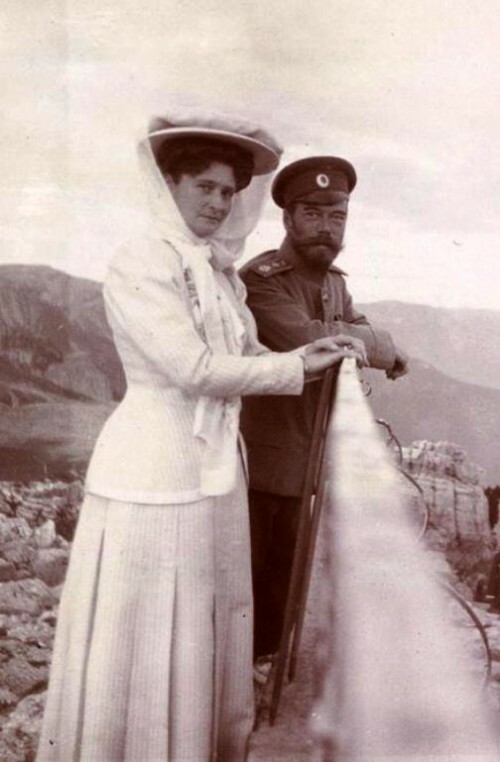 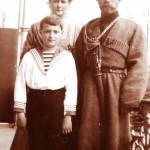 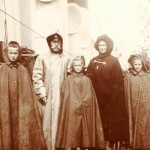 Besides, Taneyeva was well acquainted with Grigory Rasputin. 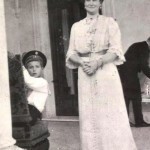 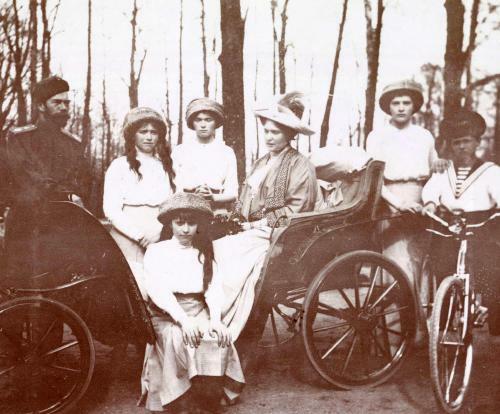 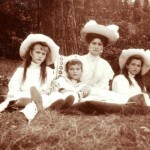 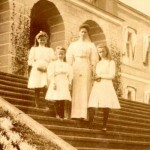 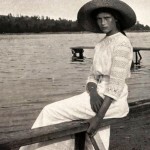 And in her summer residence at Tsarskoye Selo, she met with members of the imperial family. 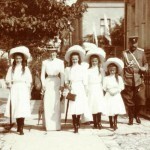 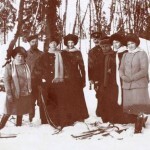 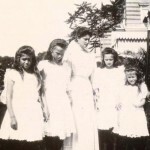 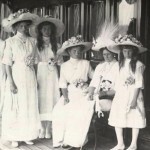 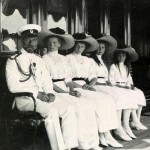 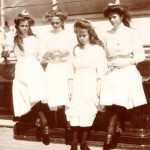 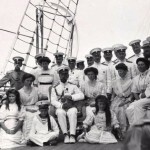 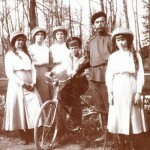 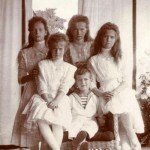 On archival photographs of Anna Vyrubova you can see all the members of great royal family of Nicholas II: Last Russian Emperor himself, his wife Alexandra, Grand Duchesses Tatiana, Olga, Maria and Anastasia, Prince Alexei. 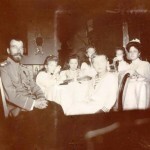 Sadly, all of them, together with the servants and the personal doctor of the emperor tragically died in the basement of a house in Yekaterinburg Ipatiev on the night of 16 on July 17, 1918. 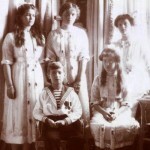 July 17, 1998 the remains of imperial family members were buried in the Peter and Paul Cathedral in St. Petersburg. 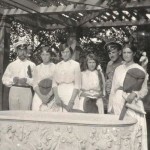 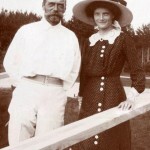 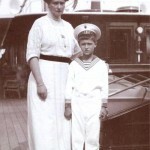 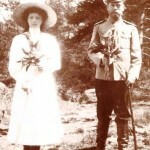 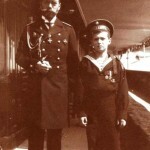 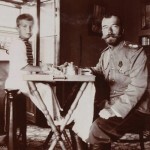 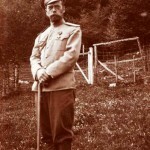 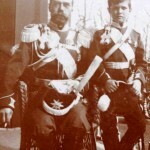 And in July 2007, researchers found the remains of Prince Alexei and Grand Duchess Maria.